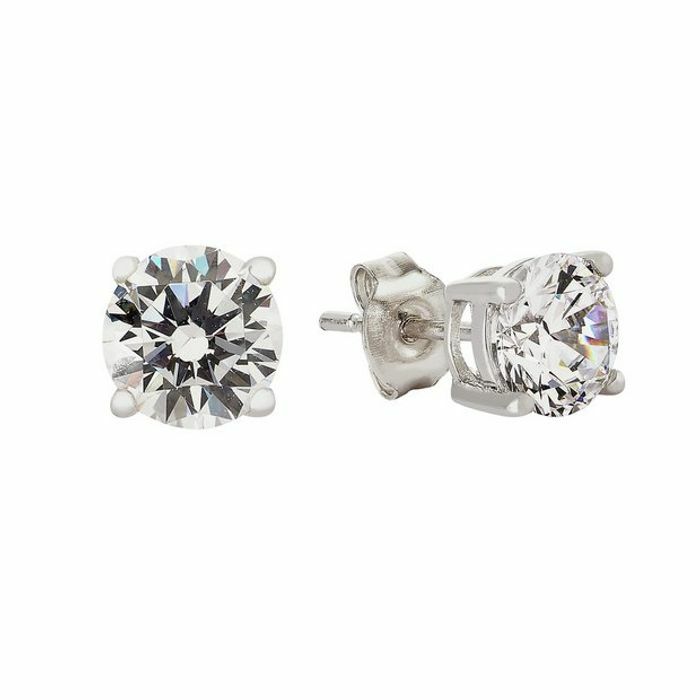 An absolutely stunning pair of round, brilliant cut cubic zirconia stud earrings, each with a 1.00ct look of diamond to really stand out. The beauty of these earrings will dazzle the crowds. A perfect gift for beautiful brides, an anniversary, or any special occasion.